Having beautiful, sleek legs might be on your wish list, but you can’t get them magically. You have to work to make sure the skin on your legs stays beautiful and healthy. One of the first steps to youthful, radiant skin -- anywhere on your body -- is getting rid of clogged pores. The skin on your legs is often exposed to the outdoors, especially during periods of warm weather. This means that all sorts of things can be clogging those pores. Exfoliate the skin on your legs. Use an exfoliating cleanser when washing your legs. Take the exfoliation one step further. In addition to an exfoliating cleanser, use a loofah in the shower. 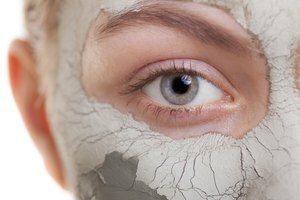 Consider microdermabrasion. This is done at skincare clinics. It loosens the dead skin that clogs your pores, and completely cleans them out, for a beautiful finish. Use water-based moisturizers, to help keep the pores in your legs clear. What Are the Benefits of Pantyhose?